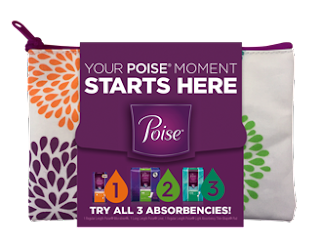 Poise has a sample bag available to request. You can pick from two different starter packs but each one includes a zippered pouch! To request yours simply click on the picture below and enter in your mailing information. Then in about 3 weeks you'll receive your samples!